Note: Pic shows the 6U setup, the 12U bundle provides double the parts. 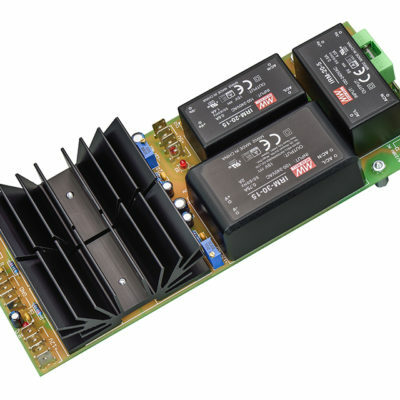 • 2 x BoardPWR – small ´no HP´ power supply. 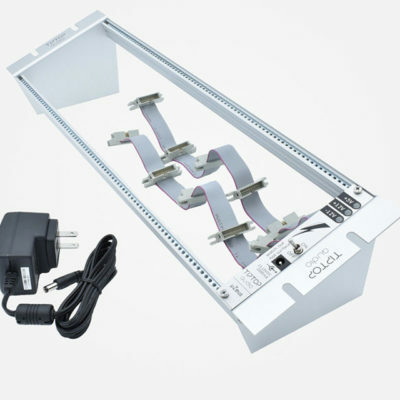 The Konstant Lab BoardPWR unit is to be fitted inside the case, has a 45w of output power and uses an input 18v DC (16-20v) supplied from the included 60w x 18V Mean Well power brick. (In larger systems 2 BoardPWR units can be fitted simply chaining them together and using a single, stronger, power brick (16v-20v DC). There are two types of output connections. 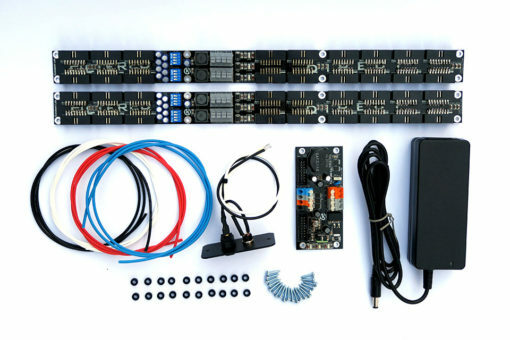 You can connect bus boards via two 16pins IDC headers or the recommended way via high-quality WAGO spring terminals with the wires supplied. 3 LED’s indicate present and drop of output voltage. You are not dealing with mains wiring inside the case and therefore it is suitable for DIY installations. At SynthRacks we are happy to fully install and test this system inside any case we are making for you. 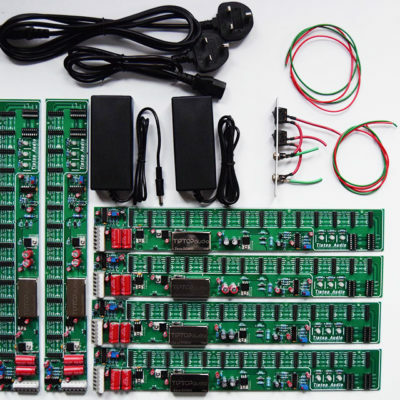 The four Konstant Lab Filtered bus boards supplied with this bundle each have 18 shrouded (sideloaded) output headers. The Filtered Bus Boards are low profile, this is ideal for all Konstant Lab power supplies but will work with other eurorack power supplies. The 18 output headers are divided into 2 areas; 12 direct headers with decoupling capacitors and 6 filtered headers with unique filtering circuits. The filtered headers are dedicated for feeding analog modules which are sensitive to power quality. Input power is via a panel with 5.5 x 2.1 DC input (centre positive) and switch, connecting to the BoardPWR unit by spring terminals.